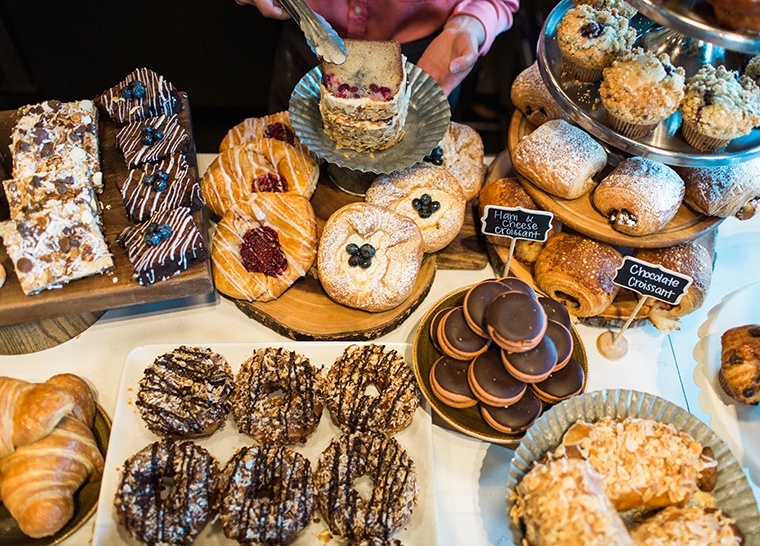 It’s no secret that The Henry XV has some of the best fresh baked pastries in town, but it’s a little known fact that one of the most popular pastries happens to be a family recipe from our Chief Financial Officer’s mother! 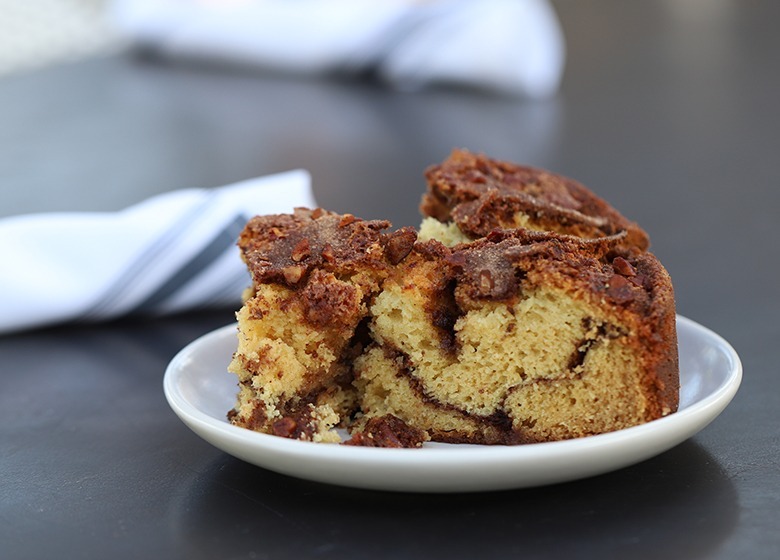 Nana Stoll’s Coffee Cake has been a hit since The Henry opened. It’s so special to have my mom’s recipe be featured on The Henry’s menu because it feels like sharing a piece of home with all of our guests. To celebrate Mother’s Day, we’re sharing Nana Stoll’s famous coffee cake recipe from our kitchen to yours. Here’s how to make it. Combine butter and sugar in a mixer and beat until smooth. Add eggs and mix on low until smooth. Add vanilla extract and sour cream, mix on low until smooth. In a separate bowl, combine all the dry ingredients together. Then add flour mixture to the mixer. Mix on low until all ingredients are combined and batter starts to form. Set aside. In the mixer with a paddle attachment, combine the cinnamon and sugar on low for two minutes. Scrape the sides and continue to mix for two more minutes. Preheat oven to 325 degrees. Lightly spray a baking sheet with cooking spray and spread the pecans across evenly. Toast the pecans for six minutes or until aromatic. Lightly spray the 9” cake pan with cooking spray. Pour half of Nana Stoll’s coffee cake batter into the pan and spread evenly. Sprinkle half of cinnamon sugar on top of batter. Evenly spread 1 cup of toasted pecans over the cinnamon sugar. Repeat to build the second layer, then evenly distribute cold cubed butter over top. Bake for 45 minutes or until tester comes clean. Cool for 30 minutes. Enjoy!